"Today's federal government is considerably at odds with that envisioned by the framers of the Constitution. Thomas J. DiLorenzo gives an account of how this came about in The Real Lincoln." 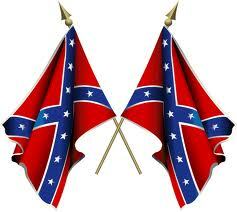 "A peacefully negotiated secession was the best way to handle all the problems facing America in 1860. A war of coercion was Lincoln's creation. It sometimes takes a century of more to bring an important historical event into perspective. This study does just that and leaves the reader asking, 'Why didn't we know this before?' "
Through extensive research and meticulous documentation, DiLorenzo portrays the sixteenth president as a man who devoted his political career to revolutionizing the American form of government from one that was very limited in scope and highly decentralized?as the Founding Fathers intended?to a highly centralized, activist state. Standing in his way, however, was the South, with its independent states, its resistance to the national government, and its reliance on unfettered free trade. To accomplish his goals, Lincoln subverted the Constitution, trampled states' rights, and launched a devastating Civil War, whose wounds haunt us still. According to this provacative book, 600,000 American soldiers did not die for the honorable cause of ending slavery but for the dubious agenda of sacrificing the independence of the states to the supremacy of the federal government, which has been tightening its vise grip on our republic to this very day. You will discover a side of Lincoln that you were probably never taught in school?a side that calls into question the very myths that surround him and helps explain the true origins of a bloody, and perhaps, unnecessary war. Thomas DiLorenzo refuses to genuflect before Lincoln's altar. In "The Real Lincoln", a book that's guaranteed to infuriate a wide audience, ranging from Civil War buffs to Lincoln scholars to African-Americans to political liberals to history traditionalists, DiLorenzo claims that Lincoln's real historical legacy is the strong centralized state that characterizes the American political system today. From first to last, claims DiLorenzo, Lincoln's political vision was the creation of a Whiggish empire of protectionist tariffs, government subsidized railroads, and nationalization of the money supply. In the first year and a half of his administration, he pushed through much of this agenda. The average tariff rate tripled, railroads began raking in government money (a "war necessity"), and the National Currency Acts monopolized the money supply. So far none of this is terribly alarming. Even admirers of Lincoln will admit much of what DiLorenzo says about Lincoln's economic dream and Whig leanings. But where DiLorenzo begins to stir up a storm is when he claims (1) that Lincoln basically allowed an unnecessary and horribly bloody war to occur in order to further his political vision of a strong state; (2) Lincoln was a "constitutional dictator"; and (3) Lincoln was never terribly concerned with slavery as a moral injustice. In reference to the first point, DiLorenzo points out that the right to secession was simply taken for granted by most Americans prior to Lincoln's administration because they saw the country as a voluntary association of states. Lincoln didn't "save" the Union so much as he destroyed it as a voluntary association. In reference to the second point, DiLorenzo provides example after example of Lincoln's disregard--supposedly in the interests of the state--for the Constitution: launching a military invasion without Congressional consent; suspension of habeas corpus; censorship of newspapers; meddling with elections; confiscating private property; and so on. Finally, in reference to the last point--which is probably the book's most inflammatory one--DiLorenzo argues that Lincoln rarely mentioned the issue of slavery in political speeches until it became politically expedient to begin doing so. His opposition to slavery was always based on what he feared was its economic dangers, not on moral principle. As his contemporaries accurately noted, Lincoln the "Great Emancipator" was never an abolitionist. Even after the Emancipation Proclamation, he was willing to tolerate slaveholding in nonsecessionist states. His ultimate solution--one that infuriated abolitionists such as Horace Greeley--was to colonize American blacks "back" to Africa or the Caribbean. Much of DiLorenzo's claims about Lincoln's activities will be familiar. What's new about the book is the overall unfavorable portrait of Lincoln that emerges as DiLorenzo discusses them. It may be the case that DiLorenzo has swung too far in the opposite direction from conventional Lincoln hagiography. But it may also be the case that his book will encourage more moderate and accurate portrayals of Lincoln in the future. One can admire Lincoln without worshipping him. Here is the explanation for how America went from the land of the free to the land of the government-dominated. Here is a thorough explanation how the Federal Government went from a minimalist government with scant intrusion into the lives of its people, to the modern day Leviathan which consumes 1/3 of every dollar we earn and gives us endless regulation and grief. Here is the seed of the welfare state, the precursor to Roosevelt's "New Deal" and Johnson's "Great Society" - and the beginning of the end of the Constitution. Lincoln locked up thousands of those who disagreed with him. He cared not at all about slavery as a moral issue. He created the sort of Federal spending on programs that were previously successful private ventures, and which, as government programs, have put us trillions of dollars in debt. He destroyed the sovereignty of the states and laid the groundwork for George Bush to imprison people without charges, without access to counsel, without the right to confront accusers and ultimately without right to trial. Dilorenzo's book helped me to see Lincoln in a new light. Lincoln: Responsible for more American deaths than any other president (nearly as many were killed in Lincoln's conquest of the Southern states than in all other wars combined). Lincoln: A war criminal who sent armies to attack the civilians of the South (not just Sherman, but all his generals). Lincoln: Consolidating government power over the people though the use of gun and bayonet. William Manchester used the phrase 'American Caesar' to describe General Douglas MacArthur, but it applies much more fittingly to Abraham Lincoln, America's first (and God willing only) full-fledged military dictator. The gravedigger of the U.S. Constitution, Lincoln buried the founders' Union as completely as Lenin buried the Romanovs. And like Lenin, Lincoln built an empire on bayonets, brutality, and centralized power. As historian Richard Bensel (quoted by Thomas DiLorenzo in the introduction to this book) wrote, any student of the American state should begin his reading with 1865. Whatever happened before then no longer has any relevance. Lincoln's defenders often employ the slander that criticizing the Great Emancipator is the moral equivalent of defending slavery. But history shows that slavery ended around the world during that era, and no place required the bloody war Lincoln waged. DiLorenzo proves that throughout his life, up to and including the War, Lincoln's driving force was his devotion to Henry Clay's 'American System' of internal improvement, nationalized banking, and a powerful central government. As DiLorenzo shows, a confederacy of states exercising their (previously unquestioned) right to secession would have been an intolerable obstacle to Lincoln's driving ambition. DiLorenzo also catalogues Lincoln's wartime offenses against the Constitution, the people (North and South alike), the Southern states, and the very 'Union' he was allegedly trying to save. If for no other reason than Lincoln's deliberate strategy of waging war against civilians -- DiLorenzo shows that the policy came straight from Lincoln's own hand -- it's hard to deny historian Lee Kennett's conclusion (quoted on page 197-198) that a victorious Confederacy would have been entirely justified in executing Abraham Lincoln for crimes against humanity. Most damning to the modern myth of Lincoln as a man tormented by America's original sin of slavery, DiLorenzo shows that the Great Emancipator never in his life accepted the fundamental equality of all persons. Until his death, he denied that free African-Americans could be assimilated into the US population. His solution was to 'return' all blacks, even native-born ones, to their 'homeland' of west Africa, or exile them to the Caribbean or Central America. Like the statue in Nebuchadnezzar's dream, Abraham Lincoln's towering reputation stands on feet of clay, propped up by generations of myth-making, political opportunism, and -- yes -- lies. But nothing so fundamentally flawed can long endure. Toppling the Lincoln of myth is essential not only for recovering the promise of America's founding, but also for healing the social fractures spreading since his death. Thomas DiLorenzo has not only written an excellent book, but has performed a valuable and necessary service.